It&apos;s hard to believe we are coming upon ten years since the tragic events of September 11, 2001. We all remember where we were the exact moment it happened. We remember the feeling of confusion, helplessness, anger and fear. And soon thereafter, our unity and spirit brought us together to grieve, to reach out to our loved ones, to serve others, and vow that we would never forget. To commemorate the tenth anniversary of this fateful day, the entire Dublin community is coming together to continue that vow, by hosting a breathtaking weekend-long observance. 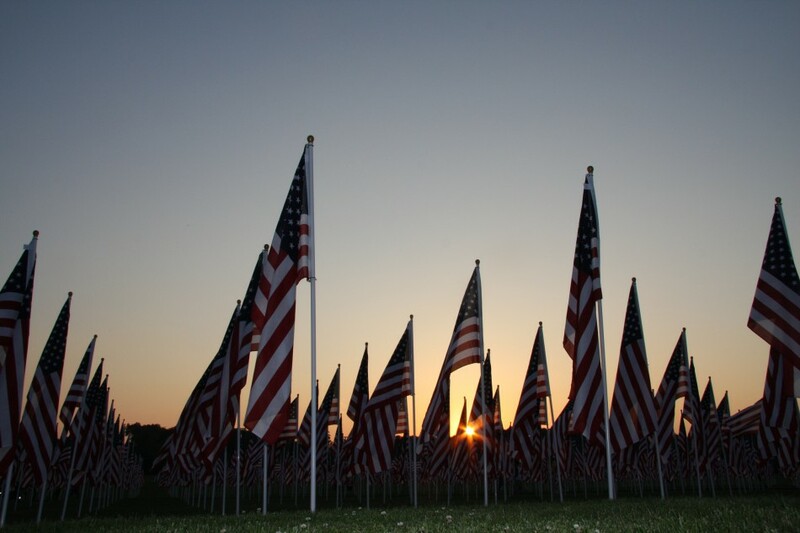 Dublin&apos;s FIELD OF HONOR will take place from Saturday, September 10 through Monday, September 12. Three thousand, full-size American flags will be posted onto one field representing each life lost on that day. The moving tribute will take the efforts of hundreds of volunteers, staff from the city, township and schools, all coming together with one purpose. We invite all citizens to come to Dublin&apos;s Field of Honor to pay respect to the event that lives in our minds and hearts forever. The opening ceremony will be on Saturday, September 10 at 6:00 p.m., just before sunset. Throughout the weekend, simple, solemn remembrances will take place on the field, located just across from Cardinal Health Headquarters on the Dublin Coffman High School Practice Field. And there will be a closing ceremony on Monday evening, after school children -- many of whom weren&apos;t even born ten years ago -- will have toured the Field throughout the day. In the days before the weekend event, you&apos;ll see staff and volunteers preparing the field. Beginning Saturday, September 10, you&apos;ll see the massive field of flags, arranged in an Arlington-like setting over four acres of land. You&apos;ll see it walking or biking down Emerald Parkway. You&apos;ll catch a glimpse of it from I-270. You might even see news coverage of our community&apos;s salute. If you do, take a breath. Stop. Pause. Reflect and remember. Better yet, come to visit the Field of Honor and pay tribute to the lost lives that changed ours from that day forward. Thank a volunteer who has worked so hard assemble the flags and pound poles in the ground. Purchase a flag for you and your family that will go towards a First Responder Scholarship Fund with The Dublin Foundation. Help with tear down on Monday evening. Or just come by and let yourself be in awe, listening to the bagpipes playing throughout the weekend. However you choose to participate or observe...commemorate it. You owe it to every one of those lives we remember that day.